A stunning trend in failure to concentrate on the road can increasingly be attributed to drivers paying more attention to Pokémon than what is ahead of them. 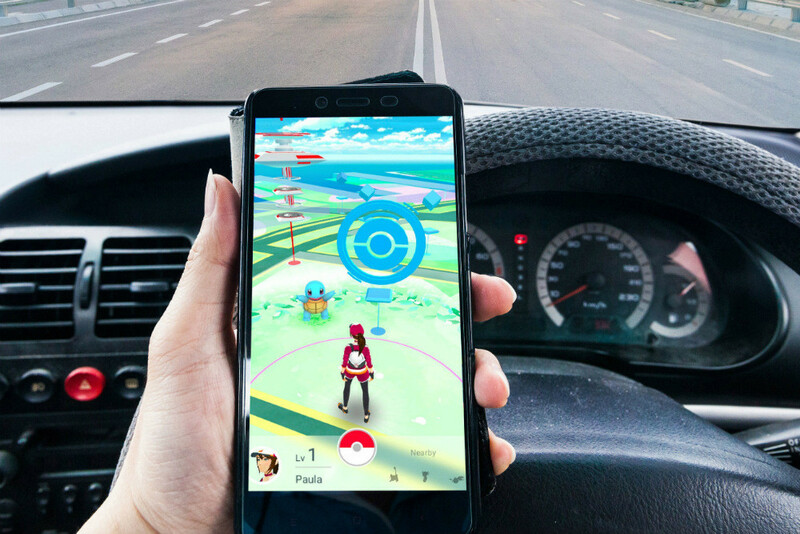 Distracted driving is nothing new to the world of commercial motor vehicles, but the circumstances involving these distractions on the road seem to be increased due to the popular mobile game, Pokémon Go, with new global incidents occurring frequently. Among the most recent incident was in Japan, wherein a truck driver killed one female pedestrian and injured the other because he was too focused on playing the game on his phone. This incident is first Pokémon Go -related death in Japan, but it is certainly not the first Pokémon Go -related death since the game launched in early July, nor is it the first injury in the trucking industry. In late July a driver in Knoxville was involved in a head-on collision due to another driver's negligence in being distracted by their phone. The circumstances of how the phone provided said distractions are still being investigated, but some officials point to the Pokémon Go application as having some involvement. There have been several other vehicular incidents related to the game with both commercial drivers and civilian drivers at fault. While the application's developer Niantic and the parent company, Nintendo, have not issued any comments regarding the latest batch of accidents, they have issued in-game warnings about being aware of one's surroundings and warned players against playing while driving. Some think these tepid warnings may not be enough, including Ronald Martin, a driver of two decades in the Iowa region. Martin claims that he has not played the game himself, but he understands the cultural toll it has already taken. "It's insane to me that we still allow a game that has literally caused death and destruction," said Martin. "I think we need to ban it or at the very least put some regulations on it. This is something that requires people to constantly look at their screens. It's worse than texting"
Martin says that he has seen all too many drivers distracted by their phones in recent years, and that the Pokémon app is only adding to the distractions. "It's mayhem out there sometimes," said Martin. "I see those screen lighting up in the cabs and it just makes your feel unsafe. Even at stops people are playing this Pokémon thing. We've had injuries, fatalities - when does it end?" Martin may represent a group of drivers that are not as immersed in mobile technology as younger generations, and one more preoccupied with safety. The Texas Department of Transportation has been vocal about its stance on the app as well. The Texas DOT shared a picture of the game on their Facebook page with the caption "Y’all. Please don’t make us have to create a campaign called 'Don’t Pokémon-Go and Drive.' "
Still, other drivers are convinced that the game, much like other functions of a phone, can be used wisely. On the other side of the conversation is Cody Sanchez, a driving student out of the Arizona area. Sanchez is an active user of the application, but acknowledges some of the potential problems the game may cause. "I think it's horrible that people around the world have been hurt from this game," said Sanchez. "But at the same time, couldn't this be said about several different apps?" Sanchez remarked that phones, in general should not be used while operating a vehicle of any kind. "It's not that I think we should get away with using phones while on the job," said Sanchez. "But I think if we can use them responsibly while resting or while in the passenger seat, I see no problem with that. I just have a feeling that the poor decisions of a few people are going to ruin phone usage for everyone." I see people fixing their hair, doing makeup, watching netflix, eating, smoking, studying, rehearsing acting scripts and reading newspapers while driving. This driver might have been doing all of most at the same time before pokemon go. Banning pokemon go isnt going to change anything unless its enforced and that will take lots of resources. Why would someone risk their life and the lives of others playing this silly game? If you have to play don't do it in the car while you are driving! Hello! Leave them alone We already took warnings off plastic bags, hot cofee, etc. Let us have at Least One Dipshit Eliminator in force.